Pope Francis warned against being judgmental and too full of oneself, in his Palm Sunday homily to thousands of people during Mass in St Peter’s Square in Rome. 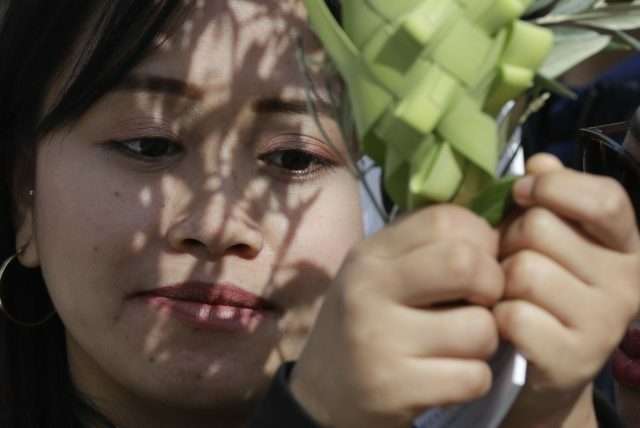 The day ushers in Holy Week, which will include Way of the Cross processions around the world to commemorate the Passion, or suffering, of Jesus on Good Friday and his death by crucifixion. Palm Sunday services recall the triumphant entry of Jesus entering Jerusalem. But not long after, the public’s mood changed, and Jesus was arrested, mocked, scourged and executed. “Festive acclamations and brutal torture: the silence of Jesus throughout his Passion is profoundly impressive,” Francis said. He recommended humility as a way to counter such temptations. Sprinkling holy water, Francis blessed palm fronds and olive branches clutched by pilgrims, tourists and Romans before Mass began. Holy Week culminates in joyous celebrations on Easter Sunday as Christians celebrate their belief that Jesus rose from the dead.